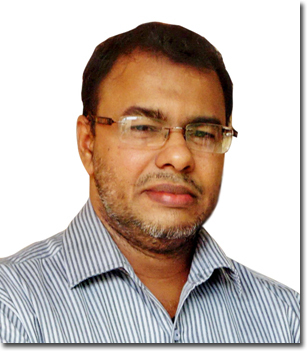 Asiff Hussein is the author of a number of publications on Ethnology, Sociology, Linguistics and Islamic issues. His works include Sarandib. An Ethnological Study of the Muslims of Sri Lanka, Zeylanica, a Study of the Peoples and Languages of Sri Lanka Ivilly Pevilly. The Gastronome’s Guide to the Culinary History & Heritage of Sri Lanka, Caste in Sri Lanka. From Ancient Times to the Present Day and Tolerance in Islam, also translated into Sinhala as Islamaya Desana Agamika Ivasima. His writings have also been published in International journals such as Hamdard Islamicus Journal of Studies and Research in Islam. Hussein is also actively involved in outreach activities and serves as Head of Outreach of the Centre for Islamic Studies (CIS), spearheading its Media and inter-faith Programs. He also served as Editor-in-Chief of Islamic Finance Today, a magazine exclusively dedicated to the promotion of ethical interest-free banking and finance from 2006-2016. He presently serves as Editor-in-Chief of Wahed Invest Islamic Finance Blog. Hussein holds a B.A. Degree in Social Sciences from the Open University of Sri Lanka, a Post-graduate Diploma in Archaeology from the University of Kelaniya and a Diploma in Journalism from the Aquinas College of Higher Studies, Sri Lanka. He is an Alumnus of the International Visitor Leadership Programme organised by the US State Department, having participated in an IVLP Programme on Religion and Social Justice in America on a tour that covered Washington, Huntsville, Birmingham, Santa Fe and San Francisco from June 28th to July 16th 2010. Presently serving as Editor-in-Chief of Wahed Invest Islamic Finance Blog. Presently serving as Vice President-Outreach, Centre for Islamic Studies (CIS), Head of its Outreach Program and Editor of its newsletter Choice. Spearheaded production of its Islamic Outreach Posters and Mosque Tours Program. Presently serving as Editorial Director, www.sailanmuslim.com website. Founder Editor of the website. Conceived and initiated Culture and Heritage, Islamic Finance and Publications Pages. Alumni of International Visitor Leadership Program, United States State Department. Participated in a program on Religion and Social Justice in America on a tour that covered Washington, Huntsville, Birmingham, Santa Fe and San Francisco, June 28th to July 16th 2010. Sole Resource Person for the 2-day Workshop on Teachings of Islam as they Relate to Human Rights and Women’s Rights organized by the Muslim Women’s Research and Action Forum held at the Ecumenical Institute, Colombo 05 on 24th and 25th October 2011. Lecture on The Origins of the Sri Lankan Muslims, their Language, Professions and Culture organized by the Ceylon Society of Australia held at the Organisation of Professional Associations, Colombo 07 on 24th February 2012. Talk on Historical Origins of Sri Lankans organized by Beyond Borders, a British Council sponsored initiative held at the Centre for Poverty Analysis, Colombo 07 on 25th May 2012. Presentation on The Muslims on Sri Lanka and their Contribution to our National Life organized by the Centre for Islamic Studies and held at the First Global Knowledge Centre, Colombo 06 on 15th March 2013. Presentation on Islamophobia. Causes and Solution organized by the the Muslim Women’s Research and Action Forum held at MICH Lily Avenue Auditorium on 23rd August 2014. Presentation on Islamophobia organized by the Rotary Club Metropolitan held at JAIC Hilton on 27th May 2015. Presentation on Muslim Cultural Contribution to Sri Lanka organized by Muslim Women’s Research and Action Forum and REACH Lanka held at Excellency Hall, Charlemont Road, Wellawatte on 12th December 2015. Presentation on How Muslims Contributed to Sri Lankan Culture organised by Sailan Muslim Canada held at Janna Masjid, Toronto on 29th October 2016. Publications cited in a number of academic publications including Studies in Malay Dialects. Ed.Uri Tadmor (2002); Teatro in Asia. Giovanni Azzaroni (2006); Crucible of Conflict. Tamil and Muslim Society on the East Coast of Sri Lanka. Dennis Mc.Gilvray (April 2008); A Grammar of Upcountry Sri Lankan Malay. Sebastian Nordhoff (2009); Nittaewo. The Hobbits of Sri Lanka. An Analysis of the Legend, Pradeep A.Jayatunga (September 2010), Vädi Jana Urumaya. Ed.Prof.Prishanta Gunawardhana and.Gamini Adikari (September 2010); A Taste of Sugar & Spice. Cuisine of the Dutch Burgher Huisvrouw in Olde Ceylon. Deloraine Brohier (December 2012), A Complete Illustrated History of Sri Lanka. Anton Sebastian (October 2013), Pictorial Impressions of Early Colonial Sri Lanka. R.K.De Silva (2014) and Persaudaran. Malay Life in Sri Lanka. Tuan Zameer Careem (2016) and academic journals including Sri Lankan Malay: A Unique Creole. Shihan De Silva Jayasuriya, NUSA (2002), Wacana: Jurnal Ilmu Pengetahuan Budaya. Fakultas Sastra Universitas Indonesia, Vol.10, No.02 (October 2008); Genetic profile of 11 autosomal STR loci among the four major ethnic groups in Sri Lanka. R.J. Illeperuma, et al. FSI Genetics, Volume 3, Issue 3 (June 2009); Sri Lankan Muslims: Between Ethno-nationalism and the global Ummah. Dennis Mc.Gilvray in Nations and Nationalism (January 2011); Is Jaffna Tamil the best? Producing legitimate language in a multilingual Sri Lankan School. Christina Davis in Journal of Linguistic Anthropology (August 2012); The Current state of Sri Lanka Portuguese. Sebastian Nordoff. Journal of Pidgin and Creole Languages. 2013 and Buddhist Zion: Sri Lanka’s Sinhalisation Politics towards its Muslim Minority. Thomas Gugler. Sudasien Chronik 2013, Asian and Islamic Crossings. Malay Writing in Nineteenth century Sri Lanka. Ronit Ricci. In South Asian History and Culture (2014), Tracing the Linguistic Crossroads between Tamil and Malay. Tom Hoogervorst in Wacana (2015) and Sri Lankan Muslims. D.Mc.Gilvray in Encyclopaedia of Islam, Leiden (2015).